I think y’all know my favourite drink; the Caesar! So I just had to share a local VanCity product that makes them that much yummier! 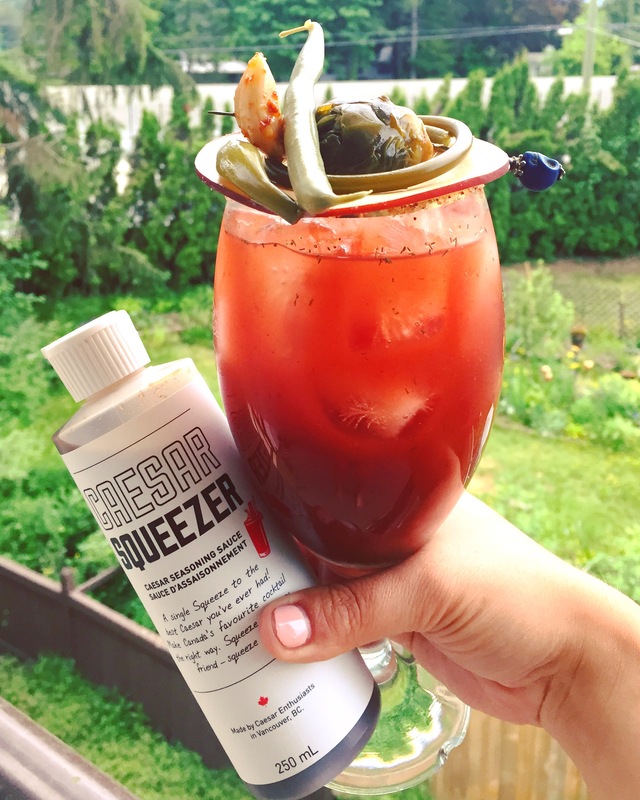 Introducing the Caesar Squeezer! The perfect combination to get that delicious Caesar taste! It’s the perfect combo of worcheshire, sriarcha, lime juice, pepper and a few other ingredients that will get you that perfect flavoured and spiced Caesar. Simply add ice, vodka and Clamato with a ton of garnishes and your set! This combo is perfect for those who want the classic taste of a Caesar but without all the hassle. Going camping? Perfect! Out boating? Easy! It works best for me when I’m going to a friends house and don’t want to lug around all the different bottles, because yes I’ve done that many times. Only $7 for for 250ml or $10 for an 500ml bottle. Time to get squeezing! Order here or find them in stores around BC and Sask.